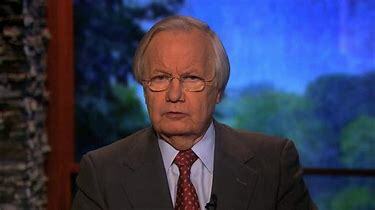 The Theology of Banning – part 3 | "Northern Crossings"
Bill Moyers was the press secretary for President Lyndon Johnson a long, long, time ago. He was also an ordained Baptist minister. The story is told that one day he was at a dinner at the White House and a lot of people were gathered around a big long table. President Johnson was on one end, and Bill Moyers was on the other. Johnson yelled at Moyers to open up the meal with prayer which he did. When he closed Johnson yelled back again at him and said “I didn’t hear you down here”, to which Moyer replied, “that’s all right Mr. President, I wasn’t talking to you”. Publishing House. But I digress. We talked about the fact that people are banning knives in London hoping of course to stop all the lunatics who are stabbing each other from doing so if they simply take away the implements they use for destruction. Also in consideration is the banning of prayer anywhere near an abortion clinic. So immediately my question is “how do you know who to ban?” If you ban those who are praying out loud you are banning speech, which has been done in the U.K for a while anyway. If you ban those who are just kind of hanging around who look like they might be praying you are profiling. Maybe these folks can read minds and just “know” who is a “prayer” and who isn’t. Is prayer considered a violent act? Maybe those folks who talk about prayer warriors are closer to the mark than even they know. 6 Degrees of Separation and the Philippines.